DHL, the world’s leading international express and logistics provider and Official Logistics Partner for the Bahrain International Airshow 2016, has announced the addition of two Boeing 767 Aircraft to its Middle East and North Africa fleet, headquartered in Bahrain, marking a further step in the Company’s continuous efforts to enhance its regional Aviation network and expand its footprint with greater capabilities. 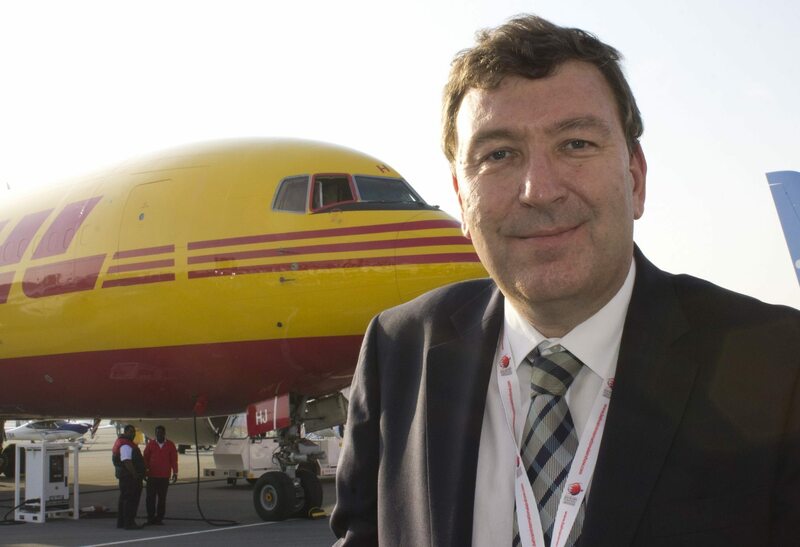 The DHL 767s will be unveiled at the Bahrain International Airshow 2016, which DHL is supporting following a two-year accord that was signed between the Company and BIAS organisers at the Paris Air Show in 2013. DHL’s latest fleet addition will be on static display at the event and a DHL Boeing 757 will also be doing a flyby with two twister planes as part of the event entertainment. The Boeing 767s will be deployed to a number of destinations across DHL’s regional network, increasing flight frequencies to key markets such as Saudi Arabia, UAE, Afghanistan and Pakistan, with potential to utilize them on additional routes depending on demand. “The expansion of our MENA air fleet further demonstrates our commitment to investing in the region; by enhancing our air capabilities we will serve more destinations with greater speed, flexibility and reliability, increasing frequencies and bettering our links to significant trade markets regionally and internationally”, stated Malcolm Macbeth, Vice President of DHL Aviation Middle East and Africa. The two wide-bodied aircrafts have a Maximum Take Off Weight (MTOW) of around 159,200kgs and will complement DHL’s narrow-body Boeing 757-200s operations in the region, bringing its total fleet size to 11 planes and increasing the number of weekly flights to 155 across MENA. The Boeing 767-200s are powered by General Electric CF6-80A engines and are fuel and energy efficient. “We plan to increase the number of DHL aircraft and continue to upgrade our regional fleet with larger more fuel and energy efficient planes to maximize volume capacity, increase reach, frequencies and also improve our CO2 efficiency. These 767s burn approximately 5000kg of fuel per hour and have already reduced our carbon emissions by approximately 425 tonnes per month in total. We should see an average overall reduction of 8% in emissions, if not more, with the addition of the two B767s, and this will further complement our fleet of B757 freighters which are the most cost efficient aircraft available today in the regional freighter industry”, further stated Macbeth. DHL Aviation also plans to increase its Bahrain-Beirut flights to five per week, starting February 2016, providing clients with a consistent, frequent and more reliable service into Lebanon. The additional flights will also offer a solution to general and road freight that cannot pass through Syria and help enhance service quality on key lanes, expanding Bahrain’s network to include Asia lanes and improved connection from its Hong Kong route.